Due to library catalogue upgrades, the Automated Storage and Retrieval System (ASRS) will be unavailable from June 24th to June 28th, 2010. Please contact Rare Books and Special Collections (spcoll@interchange.ubc.ca or 604-822-2521) by June 23, 2010 if you are planning to visit during this time period and wish to consult archival material. A fascinating exhibition that complements the release of a new book on children’s literature is now on display at UBC Library’s Rare Books and Special Collections (RBSC) division. 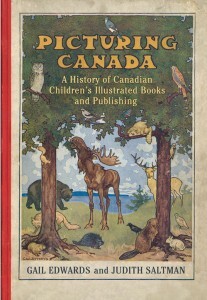 Picturing Canada: Canadian Children’s Illustrated Books and Publishing, highlights Canadian picturebooks from the last 200 years. The exhibition includes rare children’s books as well as popular productions from recent years. It was curated by Shannon Ozirny, Meaghan Scanlon and Geneviève Valleau, all students at UBC’s School of Library, Archival and Information Studies. 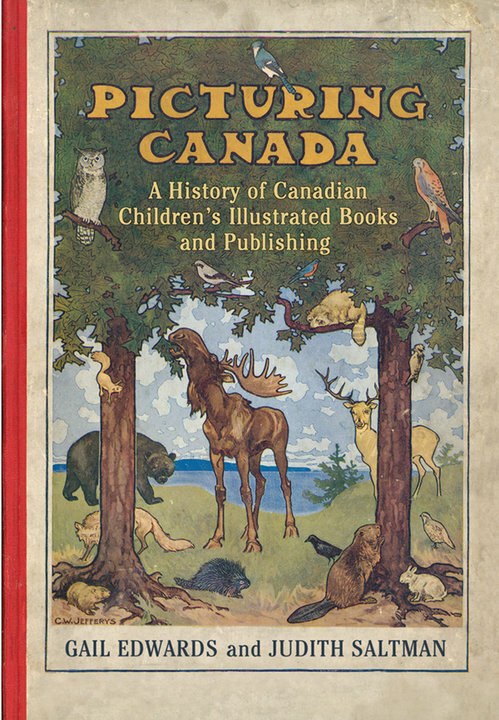 The exhibition features highlights from Picturing Canada: A History of Canadian Children’s Illustrated Books and Publishing, written by Judith Saltman and Gail Edwards. Saltman is an Associate Professor at UBC’s School of Library, Archival and Information Studies and Chair of the Master of Arts in Children’s Literature program; Edwards is the Chair of the Department of History at Douglas College.